When it’s time to replace your car, buy a new home or borrow money for whatever reason, Empowerment Community Development Federal Credit Union has what it takes. 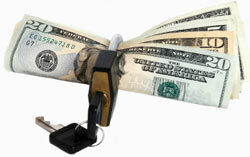 Our Loan Department features auto loans, personal loans and various other loan products. Shopping for a new or used car or truck? You’ve already got plenty to think about: Makes, models, optional equipment, colors and so on. When it comes to financing, make it easy on yourself with an auto loan from Empowerment Community Development Federal Credit Union. We have loans available for new and used cars and trucks. Our loans feature competitive interest rates and the kind of efficient, personalized service that only your credit union can provide. Click here for rates and terms on Empowerment Community Development Federal Credit Union auto loans or click here for the auto loan calculator. *Decisions for loans are based on your current credit records, employment, and your ability to repay the loan. A personal loan from ecd FCU can help with your loan needs, whatever they may be. 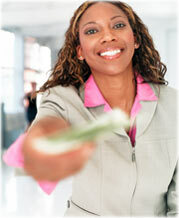 You can use a personal loan to consolidate debt, finance a vacation or cover holiday expenses. These loans can also help you pay for medical emergencies and other unexpected events. Personal loans from ecd FCU comes with low interest rates, fast processing and convenient repayment terms, as well as efficient, personalized service. Click here for rates and terms on Empowerment Community Development Federal Credit Union personal loans. Click here for the standard loan calculator or click here for the advanced loan calculator. With a Empowerment Community Development Federal Credit Union share secured loan, your deposit in a Empowerment Community Development Federal Credit Union share savings account or savings certificate serves as collateral to secure your loan. Share secured loans carry our most attractive interest rates, and you’ll even continue to earn dividends on your savings! Please contact us for more information or click here for a loan application. Click here for rates and terms on Empowerment Community Development Federal Credit Union share secured loans. Empowerment Community Development Federal Credit Union offers its members Payment Protection credit life and credit disability insurance through CUNA Mutual Group. Credit life insurance pays the outstanding balance on your loan if you die before the loan is paid off. Credit disability insurance provides funds to help you make your loan payments if you are unable to work because of an illness or accident.